You are in expert hands every time you visit Parramatta Dental Clinic. Our dental professionals offer decades of experience in their many areas of expertise. Our team of dentists and support staff are ready to take great care of you while providing the highest-quality dental care available. I love to help create healthy, beautiful smiles for my patients. Dr Ashima believes that healthy and perfect teeth can help patients smile with confidence and help to improve their overall wellbeing. She particularly finds it gratifying to see patients happy and relaxed after their dental treatment. Dr Ashima graduated from BIDSH in India with a Bachelor of Dentistry (ADC) in 2009. She also obtained a Master of Health Management and Public Health from the UWS in Sydney. To stay abreast of the latest in dentistry, Dr Ashima regularly takes professional development courses. 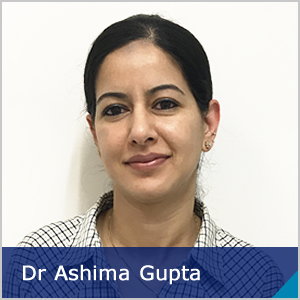 When she’s not caring for her patients, Dr Ashima enjoys reading, meditating and yoga. Achieve a confidence-boosting smile by booking an appointment with Dr Ashima today! The most rewarding aspect of dentistry is the fact that I can enhance someone’s smile and confidence. 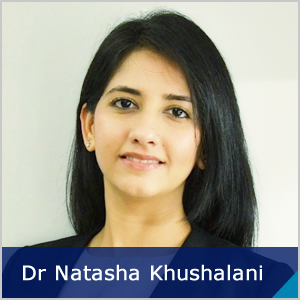 Natasha has a strong educational foundation with a Bachelor of Dental Surgery (BDS) from GDC Bombay and a Master of Dental Surgery in Orthodontics & Dentofacial Orthopaedics (MDS) from RGUHS Bangalore, India. 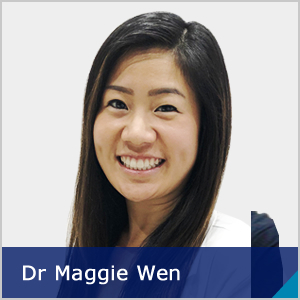 She obtained the Australian Dental Council Certificate and is competent as a general dentist with special interest in orthodontics. 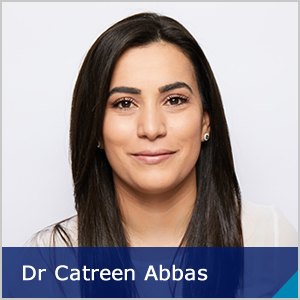 She is a member of the Australian Dental Association and strives to apply the latest dental developments in routine practice for providing high-quality care to patients. In addition to general dentistry, she offers a wide range of orthodontic services including clear braces and aligners to a diverse age group of patients. Her philosophy is aligning the teeth for optimal facial aesthetics, keeping in mind function and stability. She takes extra efforts to thoroughly educate and comfort her patients, while planning and offering treatment designed to suit the specific needs of each patient. Natasha believes that prevention and regular maintenance is the key to good oral health and contributes to holistic wellbeing. I understand that every person has different treatment needs and goals, and will tailor your plan to best suit your needs. Maggie is a graduate from Canada receiving her Doctor of Dental Medicine and Bachelor of Science in Dentistry at University of Manitoba. Before moving to Sydney, she trained in a graduate program at the Montreal General Hospital in Canada, where she treated a wide range of patients including medically compromised, oncology patients, and emergencies such as facial trauma and dental infections. She enjoys all aspects of dentistry including crowns, bridges, fillings, root canals, and whitening. She is fluent in English, Mandarin and Cantonese. Her favourite part about being a dentist is being able to communicate and interact with all her patients. Maggie is a big foodie who loves to explore the city with her family for the best cafe or restaurant. She’s also a sports fanatic and spends her time off going to the gym, playing basketball and ultimate frisbee. 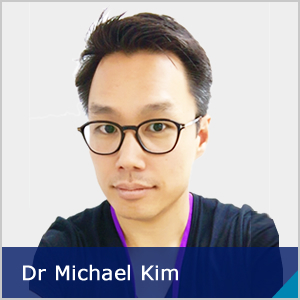 Since graduating from Griffith University (QLD) with a Graduate Diploma of Dentistry after being awarded a PhD as well as a Bachelor of Biomedical Science with First Class Honours in 2002, Dr Michael has worked in private dental practices across both Perth and Sydney. Dr Michael has a genuine interest in providing healthy, aesthetically pleasing smiles and improving the wellbeing of his patients. He enjoys all aspects of dentistry including prosthodontics, endodontics, oral surgery, cosmetic dentistry, crowns and implants. Dr Michael continues to attend regular education courses to ensure he can provide patients with the highest level of care, including to help patients overcome obstructive sleep apnoea problems. Extremely caring, gentle and easy-going, he is very popular with his patients including children. When he is not busy caring for patients, Dr Michael enjoys keeping fit at the gym, spending time with his family and has a passion for cooking. Dr Michael speaks both English and Korean. Catreen completed her Doctor of Dental Medicine Degree in 2012. She has grasped every opportunity to fulfill her passion in helping her patients and making sure they have the best pain free experience possible. She has extensively worked with aged care and with special needs patients. She always tries to brighten the day with her caring and comfortable personality. A firm believer in lifelong learning. Catreen has a pronounced dedication to continued education. She has completed numerous hours of postgraduate courses. Particularly trying to bond modern technology with Dentistry. Catreen’s happy nature, patience and a gentle hand are essential to put our anxious patients at ease and especially our very young ones. Catreen favors oral surgery, restorative, Invisalign and cosmetic dentistry. She is also a very firm believer in preventative dentistry. When away from work, Catreen is usually exploring Nature or by the beach. Take care of your oral health with a no gap checkup for all new patients. Contact us to schedule your time with our knowledgeable, gentle team today!